Bonny Becker and I go waaaaay back. 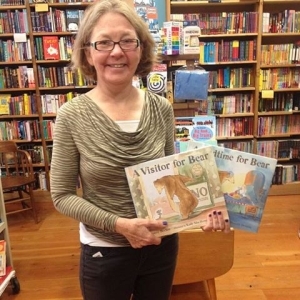 We were part of the same critique group when her now wildly successful Bear and Mouse books were merely gleams in Bonny’s imagination. Her work is fresh, witty and full of warmth. It is with great pleasure that I turn this blog over to her today. The call was unexpected and exciting. Disney Hyperion wanted to know if I’d be interested in helping a Pixar artist develop a picture book. Art director Noah Klocek had been selected for the Pixar Artist Showcase, a Pixar program in partnership with Disney Hyperion press that gives some of Pixar’s very talented artists a chance to express themselves more personally on a project of their own. The names Pixar and Disney certainly got my attention. But I was cautious. I had lots of questions—first and foremost was this a project I could relate to? I knew that Noah had already created several storylines for the book and had a specific character and world in mind. So what was that world like? Would it be appealing to me and a place where I could see creating a story? Disney sent me some sample art. It was totally charming. I loved Gale and I loved those big older clouds. This was a reassuring, yet rather majestic place. A special place. Most importantly, it turned out Noah and Disney editor Kelsey Skea were willing to give me a completely free hand in creating the story. This was great and it was daunting. All of my stories have come straight from me. Something hits me or bubbles up inside and the story has its foundation in something meaningful to me. I didn’t have that with Gale. This was Noah’s world, his baby. 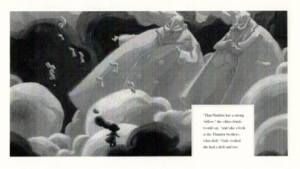 He had been sketching Gale and her cloud world for years. I wanted to know what he hoped for in this story. And I was invited to visit Noah at Pixar headquarters. Flying down I made a point of studying the clouds below me—looking for Gale and seeing if inspiration hit. All I saw was puffy white things that always looked like you could walk on them, but you knew you’d fall like a rock if you tried. The driver met me at the airport and I was ushered onto the rather secretive, iconic Pixar campus. 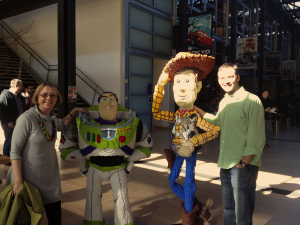 I was treated royally from a private screening of several projects in the works to a tour of the headquarters’ building sprinkled with statues from Pixar classics. I liked Noah right away. He loves picture books and really gets how important they are and is passionate about creating high quality stories and art for kids. We talked about our families and about picture books and about creating stories and bounced some ideas around. For several drafts I worked with an idea of Noah’s about Gale learning how to float, but I couldn’t make that work. My problem, I realized, is that I didn’t know what a cloud would want. To discover eternal life as rain, then water, then evaporated mist, then a cloud again? To become “real” like kids on the ground? What could a little cloud grow up to be? I needed something for Gale to want or need to seed the story. So more looking at clouds. More pondering. More drafts trying to find my own story in this world—from Gale getting in trouble with her little brother to Gale trying to get the attention of a couple of earthbound kids to Gale wandering lonely as a cloud to find her true self. In all, I created about five different storylines. The editor, Kelsey, was exacting and I appreciated that. I wanted a story worthy of Noah’s beautiful, warm, charming world. In the end, the solution seemed obvious. 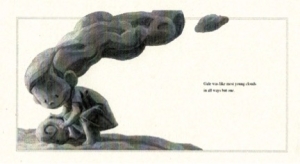 Like any respectable cloud, Gale wanted to make different cloud shapes—real shapes like puffy cumulus clouds, a wispy stratus cloud, stormy cumulonimbus clouds. But like artists and authors everywhere, she ended up making up daydream clouds. Tugboats and castles and mighty whales. Clouds for the world to dream on. P.S. As is not uncommon in publishing, Disney Hyperion editor Samantha McFerrin took Kelsey Skea’s place when Kelsey joined Amazon’s Two Lions children’s imprint a few years ago. 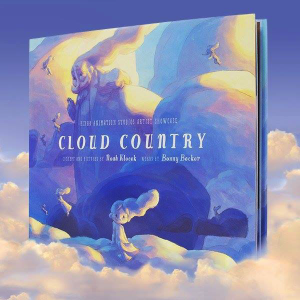 And Samantha helped guide Cloud Country through its final stages. Thanks to both of them!